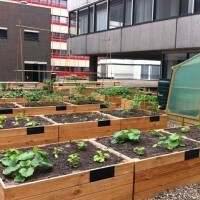 The project is a self- sustaining vegetable garden located on the roof of a busy mall in the centre of Utrecht. 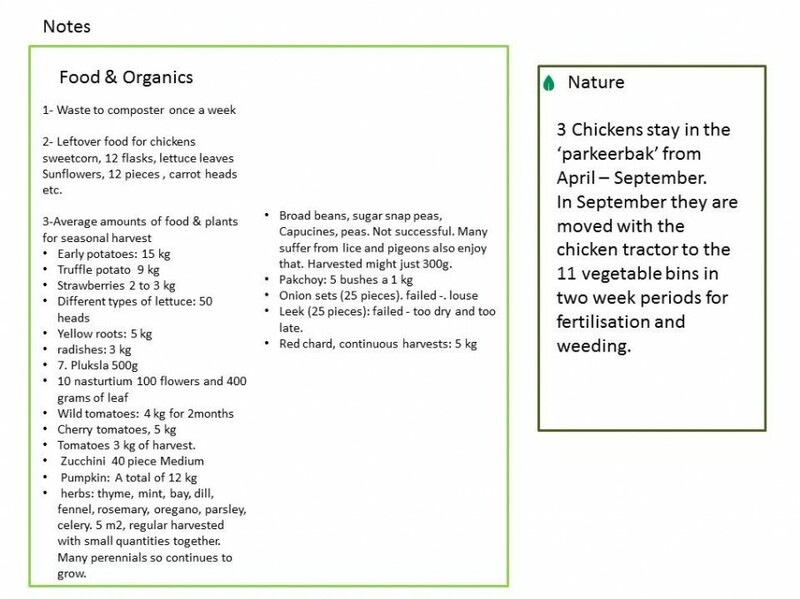 A community of people help maintain the garden and look after the chickens and as a reward are able to eat the crops and eggs collected. The garden is used by local residents, schools and employees of the shopping mall. In summer season free events take place here. 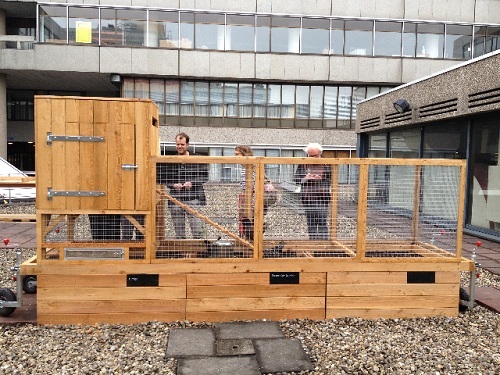 A special feature of the garden is the chicken tractor, used to transport the chickens from vegetable bin to vegetable bin during off season in order to fertilise and weed the soil for next planting season. Each time the tractor moves once every two weeks during the months between September – April. 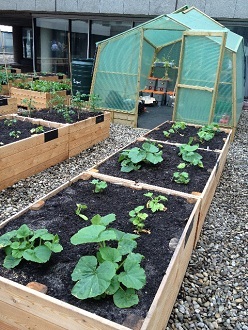 Organic waste from the mall is brought to the composter and this compost if used to grow vegetables in the 11 beds available. 'The Chicken Club' is a group of six permanent members and 11 varying members who take care of the three chickens of the garden. 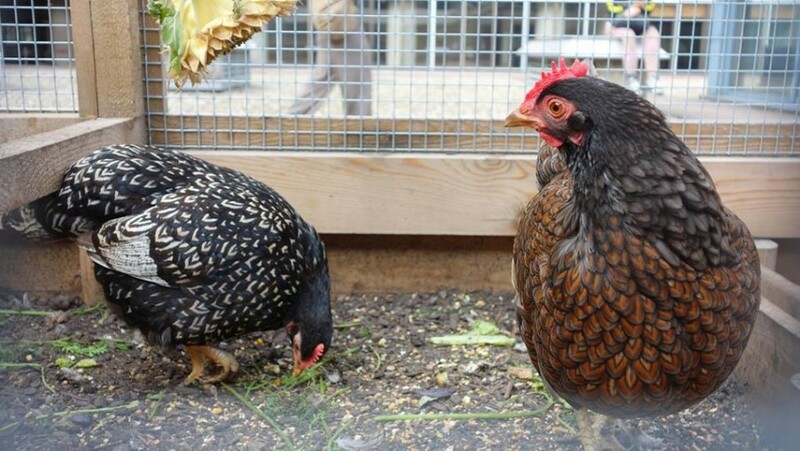 The chickens are a vital part of the garden as they eat left over food from the harvest such as outer leaves of lettuce, carrot tops and unwanted weeds. 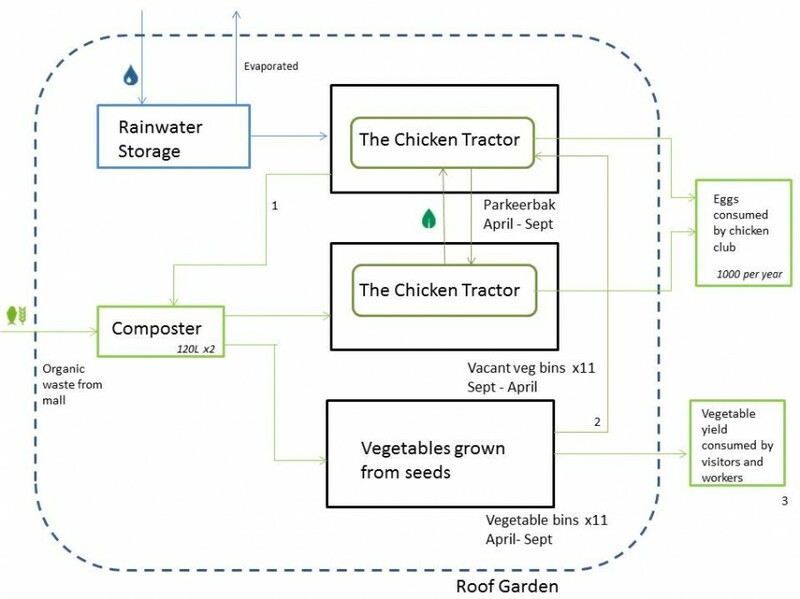 In addition to this the chicken tractor is used to move the chickens around from vegetable bin to vegetable bin from September to April. This process lets the chickens fertilise and weed the soil to help growth when the season approaches. The general rule of the garden is whoever sows the harvest can eat it but with a few exceptions. Visitors can pick some mint in tea or some lettuce harvest or Strawberries which are loved and really nibbled by all passers-by. This also applies to the bush tomatoes (small wild tomato.) 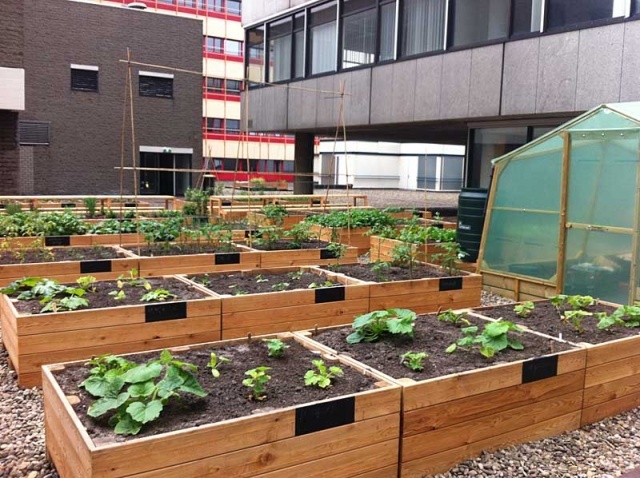 Currently there are free lunches organised in the warm months fertile lunches where residents and employees of HC can join, this is funded by art project.